Quincycles will be leading a convoy from Montilio’s Bakery on Adams Street. 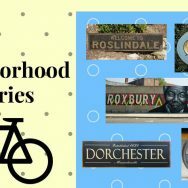 Join us there at 9am to ride to Mattapan for the event. Bike to the Mattapan Square Farmers’ Market with the Vigorous Youth of Mattapan Food and Fitness Coalition.